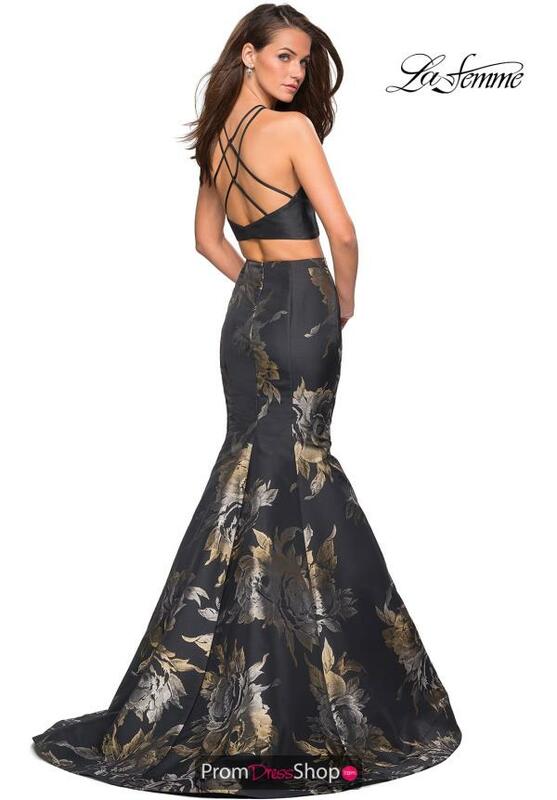 This vintage chic prom dress 27083 will have you Instagram ready. Designer La Femme incorporates a jacquard printed skirt to fit around your natural curves and flow into a statement making sweep train. The fitted crop top has a high neckline with thin straps that wrap into a strappy open back that will ensure a lasting impression.